Detailing the physical features, habits, territorial reach and other identifying qualities of the Giant Ichneumon Wasp: Norton's. 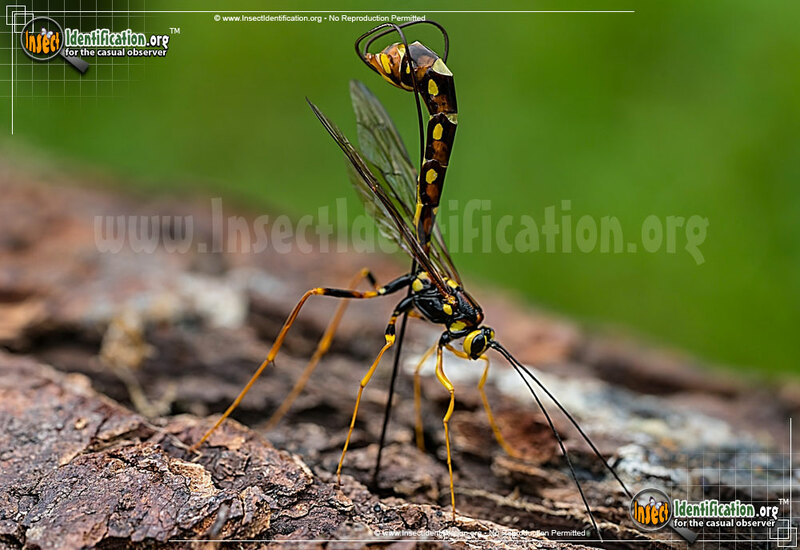 The long, syringe-like ovipositor on female Ichneumon Wasps looks like a mean stinger, but it's really all about the babies. The size of M. nortoni alone creates anxiety among people who don't know about this wasp. It has a long, slender abdomen, dotted with red and yellow ovals or hexagons on each segment. The mainly black body sports yellow legs. Females have long needle-like ovipositors that are mistaken for flexible stingers. 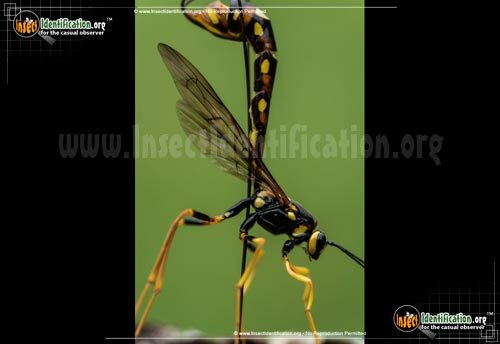 This ovipositor doubles the length of the insect, but it is not a stinger. It is a thin tube that females inject into tree bark where they suspect Horntail larvae have been implanted. She lays a fertilized egg on or near a Horntail larva inside the bark where the Horntail will serve as food for her own offspring once it hatches. M. nortoni seems to specifically parasitize Horntails. 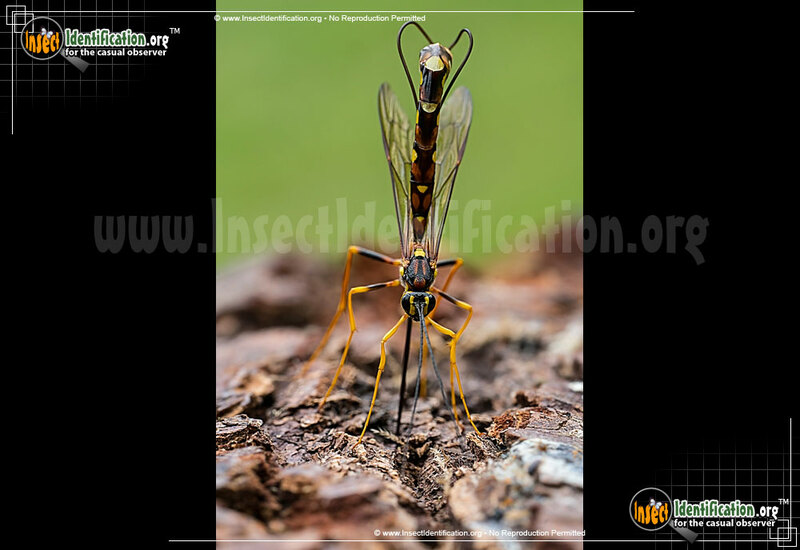 Look for this species of Ichneumon Wasp on trees in deciduous forests and parks.